Build your team's performance with graphics, desktop publishing, Adobe Creative Suite, MS PowerPoint, or Solutioning training. Make your next presentation, proposal, marketing effort, or seminar be a winner. Convince your audience that you are the best-of-the-best with clear, communicative, compelling graphics and messaging. You have very little time to communicate your message. Graphics speak volumes about you, your company, and your product/service in seconds. If your solutions are the best, then your business materials need to support that assertion. 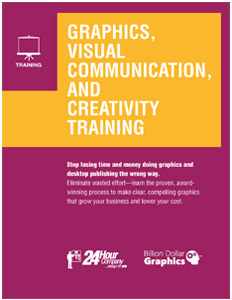 Learn why graphics matter (graphics ROI), how to turn words and ideas into powerful graphics and learn design tricks, tips and techniques. Learn advanced design techniques and apply the processes learned in the introductory class to real- world needs. Learn the secrets of rendering professional graphics in Adobe Photoshop and Illustrator. Learn how to quickly make and edit graphics and presentations in Microsoft PowerPoint using a combination of built-in tools and ad-ins. Learn advanced and creative techniques to develop solutions for complex challenges. Solutions are developed and validated through a combination of discovery and creative thinking. Use the solutions in briefngs, proposals, education, and marketing and sales materials. First, we review your current needs, processes, and goals. Then, we share best practices, tips, tricks, and secrets that get you your desired results. Next, we apply what you learned to real-world business situations (e.g., proposal dev. or presentation design). This way, you can get immediate answers to your questions. We tailor the training to meet your needs. If you identify a specific step or challenge as a hurdle, we focus on that. This class uses real-world challenges to educate you and your colleagues on how to achieve your specific goals and mitigate your unique challenges. First, we will review your company’s current needs, processes, and goals. We will tailor the training to share best practices, tips, tricks, and secrets to achieve success. All training is conducted at your facility with schedules arranged to fit your needs. Conducting training at your facility ensures real-world, day-to-day challenges are in the same building and can be seen, reviewed, and solved. *All training is tailored to meet your goals and eliminate your biggest challenges. Select training courses are eligible for Continuing Education Units (CEUs) toward APMP Accreditation. Classes can be combined. All training is performed by either Mike Parkinson or Colleen Jolly. Both are internationally recognized, award-winning visual communication experts. Both are multi-published authors, professional trainers and public speakers. Both have spearheaded multi-billion dollar projects and created thousands of graphics resulting in billions of dollars in increased revenue for clients. They are regular contributors for international magazines, Newsletters, and a variety of professional websites regarding best practices of visual communication. They have trained business, technical, and design professionals at companies like BAE Systems, Lockheed Martin, ManTech International, Northrop Grumman, CSC, Staubach, Verizon, and many more. 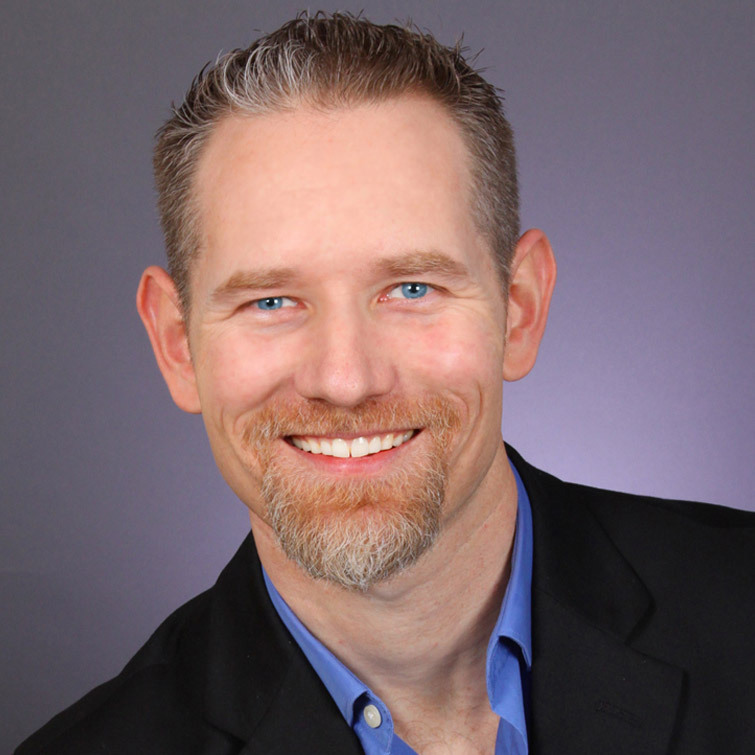 An internationally recognized visual communications expert and APMP Fellow. As principal at 24 Hour Company, he has spearheaded multi-billion dollar projects and created thousands of graphics resulting in billions of dollars in increased revenue for our clients. Active member of the Association of Proposal Management Professionals (APMP) National Capital Area (NCA) Chapter. The power in the process is that it eliminates rewrites, gets the message right, and validates your approach all at the same time. It really validates the whole proposal solution. The class was totally awesome - we will be sending our entire proposal team to you over the course of the year. I was able to hit the ground running last night and today using the tools you showed in class. It was time well spent.